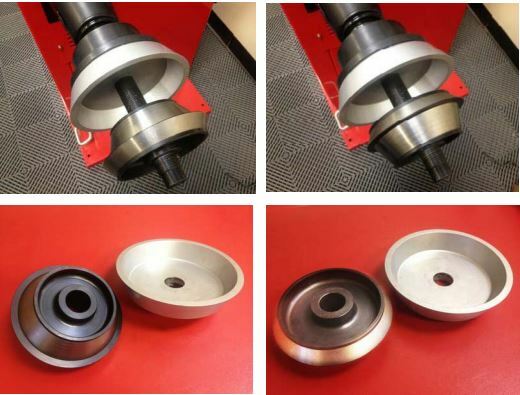 Balancer Truck Cone Spacer Kit Set 5" - 6-5"
This truck cone and backing plate kit fits the majority of medium and heavy‐duty truck wheels. Cone fits larger wheels with center holes from 4.5" to 6.5". 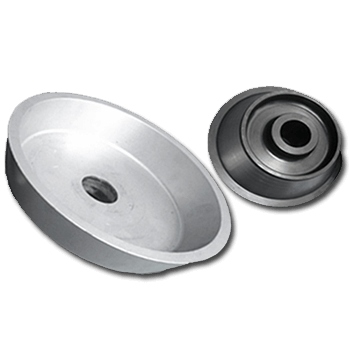 This truck cone and backing plate kit fits the majority of medium and heavy‐duty truck wheels. Features superior centering and fitment coverage for OEM and aftermarket applications. Set consists of one large truck cone and one aluminum backing plate spacer. Double‐sided centering cone fits hub sizes 4‐3/4” – 6‐3/4”. Fits Ranger balancers with 36‐mm. shaft. Click the button below to add the Ranger RWS-1TC-1 Truck Cone Kit for Wheel Balancers to your wish list.